I purchased this item for my wife for Christmas because she needed something with noise canceling. She loves it. My coworkers love the feel and weight. The sound quality is excellent, i would say better than the $300 brand!! I work in Cardiology, primarily in an out-patient practice. The sound with this stethoscope is certainly better than my Cardiology III I had throughout school. I asked my physician to compare the sound quality as he has the Master Cardiolgy ERKA compares the Sensitive to. He was impressed. Dollar for dollar, this seems to be a great buy. The customer service is great too. Initially there was a little confusion on how to request new parts. The ring that holds the membrane to the chest piece had gotten lost. Once I contacted Medelita I had a response the same day and it was completely resolved within two! An excellent tool. The smooth head slides easily beneath clothing, very convenient. Wonderful stethoscope, very sensitive and well made. On the heavy side, but not excessively so. Sleek design, nice color options. 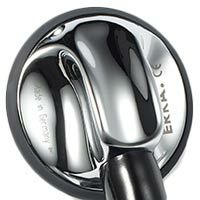 I switched to the ERKA from a Littmann, and I've been very pleased. My husband (a physician) has actually switched now too! Great sound quality and nice fitting ear pieces. 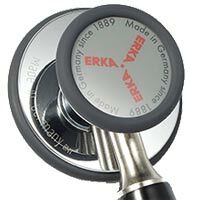 We recently purchased 9 ERKA Sensitive Stethoscopes. Medelita has been fantastic to work with and resolved any questions/concerns that we had immediately. Will absolutely work with Medelita again in the future! My daughter loved the stethoscope. She was not familiar with the brand but was very pleased with its performance. 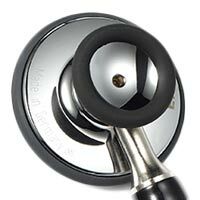 It is equivalent to a Littman or Welch Allyn but cheaper. Q: How much does the finesse 2 stethoscope weigh? A: Thanks for your question! We have updated the page to reflect the weight, 217 grams.